New Long Course, Merchandise, and More! 2. … our second course on the fairy tale! Yes, our first long class is officially called ‘The Fairy Tale’ and you can read more about it on its official about page here. We are SO excited about this course because, as many of you know, fairy tales are kind of our main thing! We’re thrilled to be able to share our chief passion with you and hope you’ll consider signing up for the 10 lesson course that will begin in January 2017. We’ve attempted to make signing up as easy as possible (including implementing three payment options!) 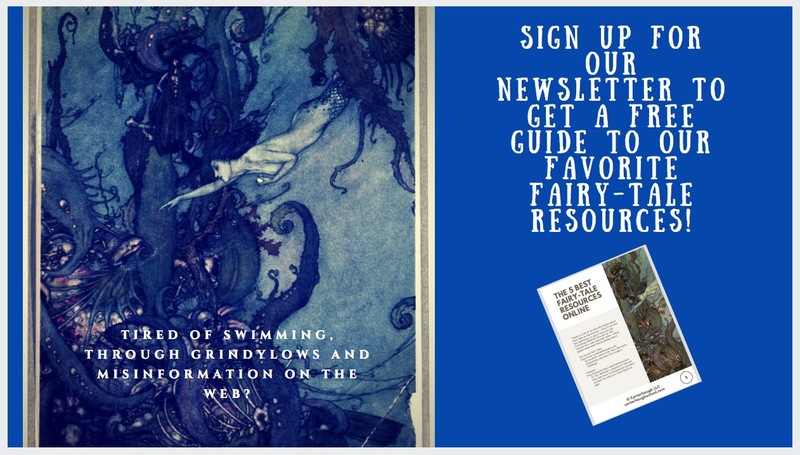 and we’ve also decided to do something a bit special for this first long course – those who sign up will, in addition to all the regular materials, also receive a special real mail package from us! The contents of the package are a surprise but we promise that it will delight and enchant you :). We would love it if you would spread the word about this new course – we’re going to be much more aggressive in our advertising this time around and need your help! Please consider telling your friends about us and perhaps posting the link to our website on various social media platforms. We’ve even made these handy images to help! 3. We’ve also created a Zazzle shop for Carterhaugh! Most of our items right now simply feature our gorgeous logo by the ridiculously talented artist Rachel Oakes, but keep checking back as we’ll be adding new (probably goofy) things all the time! That’s all for now – thank you so much for reading and please let us know if you have any questions! ← The Gates of Carterhaugh are Open! Hi Eve! We would love to have you join us if you’re interested! We do plan on giving end-of-course certificates, but they won’t be official documents or anything like that. We’re not accredited school, just two scholars who love teaching and talking about this material!